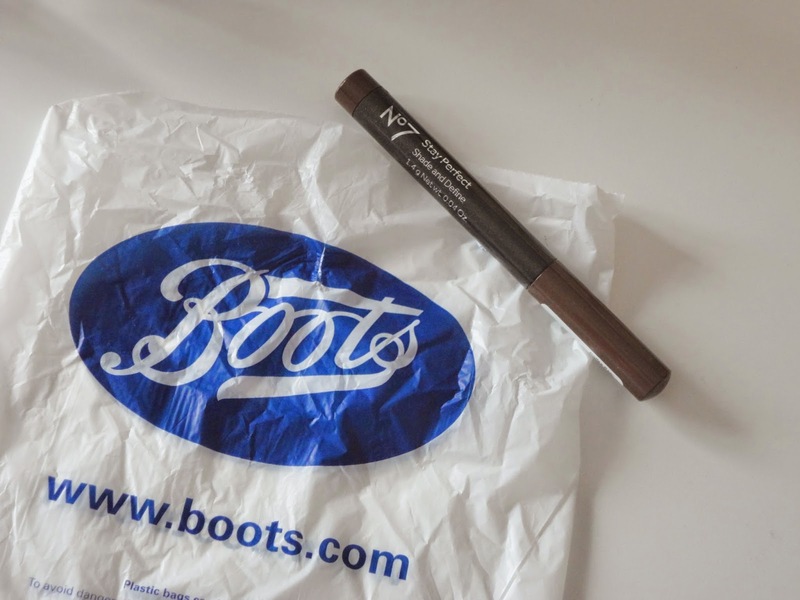 After watching Alix from 'I Covet Thee's favourites video that featured possible dupes for the ByTerry Eyeshadow sticks, I just had to test the No.7 Shade and Define Eye Crayons out for myself! I don't have the money to splash out on £30+ for the By Terry version, and luckily these have not disappointed! I got the shade 'Coffee Bean', the colour that is swatched above, but have also since bought 'Cool Mink', a grey/taupe/purple colour which is beautiful on the lids. 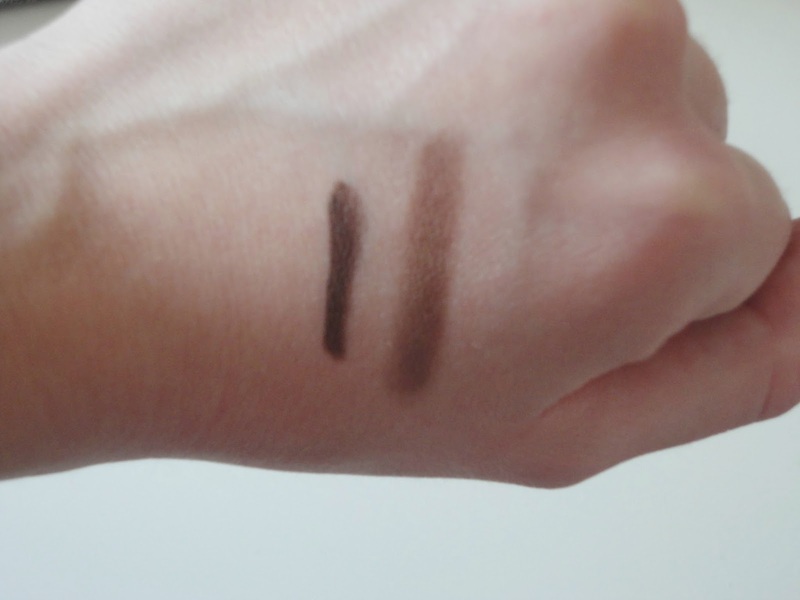 The swatches above show 'Coffee Bean' straight from the stick (left) and blended out (right). The colour range is fantastic, and I think I will be purchasing a few of the other shades in the future! The lasting power is really nice, although I would definitely recommend using a primer. They blend out really nicely, so you can have the colour either bold or sheer depending on how much you blend it. Obviously I can't say whether they are dupes for the By Terry versions, but these are really good and for £8, you can afford 4+ of the shades for just one of the By Terry ones! Let me know if you've tried either of them and what you think of them.